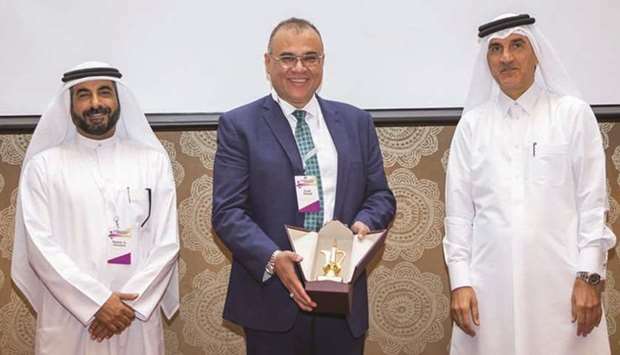 Texas A&M University at Qatar (Tamuq) and the Centre for Advanced Materials (CAM) at Qatar University (QU) recently celebrated the 10th edition of the Materials Science and Engineering Symposium, supported by Qatar Petrochemical Company (Qapco). Since its inception, the Materials Science and Engineering Symposium has become a valuable platform through which researchers, academics and industry professionals can discuss the latest trends and advances in materials science and engineering. The objective of the symposium is to promote dialogue and exchange of ideas among experts from various disciplines, as well as identify and address prospects for future interdisciplinary collaboration. The 2019 symposium addressed the theme, ‘Sustainable Engineered Materials — The Way Forward’, to support grand research challenges as identified in Qatar National Vision 2030. Dr Nasser Alnuaimi, director of CAM, highlighted the importance of this symposium by presenting accomplishments achieved by the centre. Alnuaimi emphasised the need for such symposiums that gather industry and academia experts, which will lead to a robust and quick development of both sectors in Qatar. The event featured distinguished keynote speakers from Texas A&M University and Fudan University in Shanghai, China, as well as invited speakers from Tamuq, QU, Qatar Shell Research and Technology Centre, the Qatar Environmental and Energy Research Institute and Qatar Petroleum. A panel discussion with experts from industry and academia focused on developing new industries based on sustainable engineered materials. Several undergraduate researchers from QU and Tamuq also presented their work during the symposium, with the aim of motivating them to be future leaders in the area of materials science.